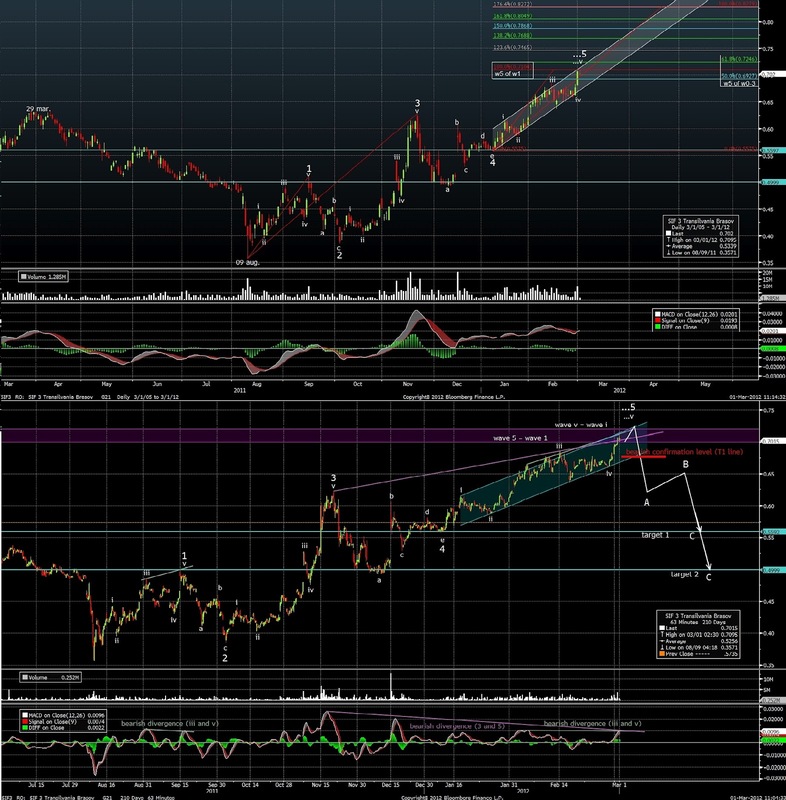 The Elliott Wave analysis of SIF3 shows the 5 wave ascending evolution of the price since the 9th of august. In the last couple of months the price has evolved in a bullish channel that was formed by connecting the lows of waves ii and iv of the larger degree wave 5. The 2nd and 4th corrective waves respected the alternation principle and the projections for wave 5 are pointing to a resistance zone between the 0.6930 RON and 0.7250 RON levels. The volumes are confirming the bull trend of the last 7 months and bearish divergence of the MACD indicator between the 3rd and the 5th wave (which is still in progress) is growing the probability of a near term correction. 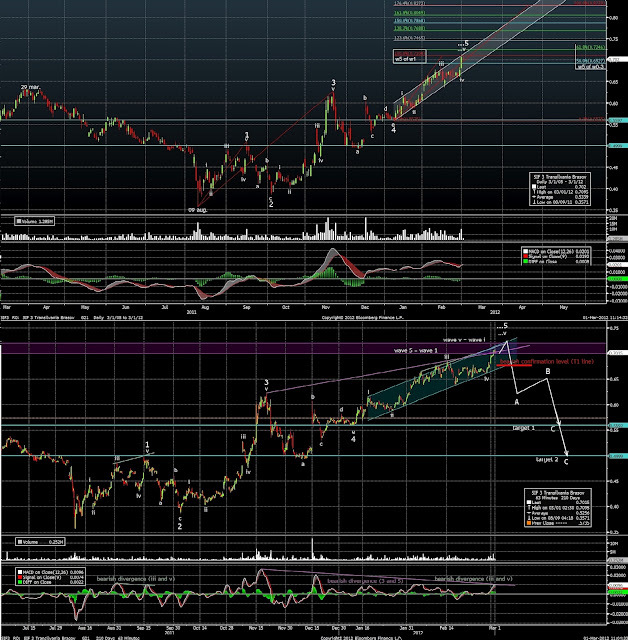 The bearish divergence between wave ii and v of the 5th wave is clearer on the more detailed chart (below). However, this last wave can be extended which is why a correction will be more conclusive if the price will break below the lower limit of the current bullish channel (around 0.6750 RON at this moment). In case of a reversal in the near term, the correction move on the mid-term (intermediary) will probably develop as an A-B-C pattern which will target the 0.5500-0.5600 RON area and the 0.5000 RON area. The length of an intermediary correction could easily last for a few months.